Gus Van Sant is an amazing director that I have come to appreciate far more over the years. His newest film, "Milk" looks to be Oscar worthy to say the least. 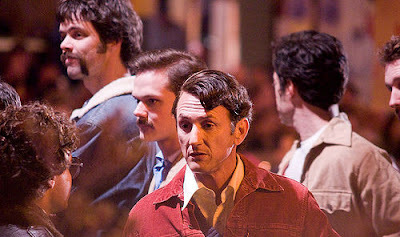 The film stars Sean Penn as Harvey Milk, the first openly gay male elected into public office in United States. Harvey Milk was a very prolific male who opened America's eyes to homosexuality and the true meaning that "all men are created equal." Milk was a huge Gay Rights Activist and one year after he was elected into the San Francisco's Board of Supervisors in 1977 he and Mayor George Moscone, were shot to death by former city supervisor, Dan White. What are your thoughts on the trailer? Do you agree were talking Oscar nods with MILK?